The New MINI Clubman ALL4 Estate – Now Built in Oxford. 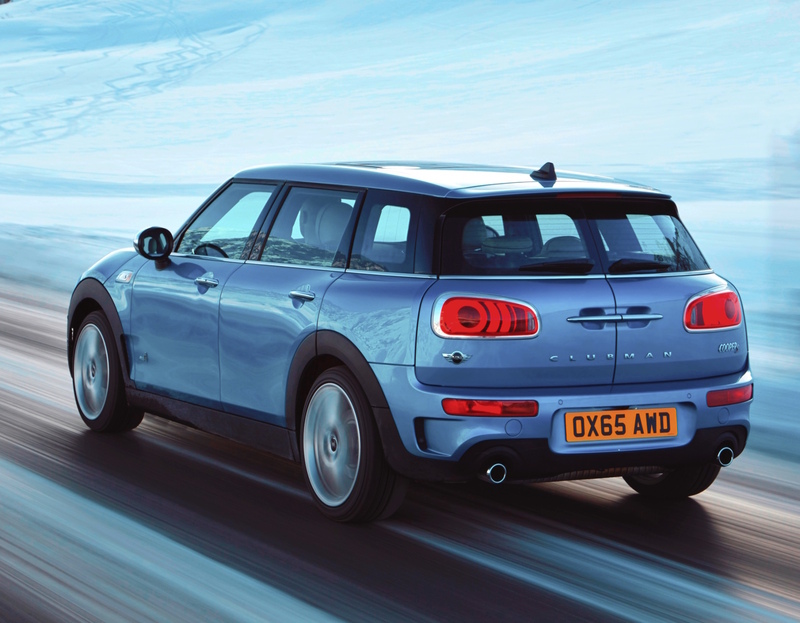 The MINI Clubman estate with ALL4 is the first all-wheel-drive MINI to come off the Plant Oxford production lines. The SUV styled MINI Countryman ALL4 versions to date have been built by Magna Steyr in Austria. The Clubman ALL4 line-up comprises the Cooper S and Cooper SD, and prices start from £24,305. The new generation and larger MINI Clubman, six door estates were officially launched late last year and MINI promotes it as a C-segment model range. 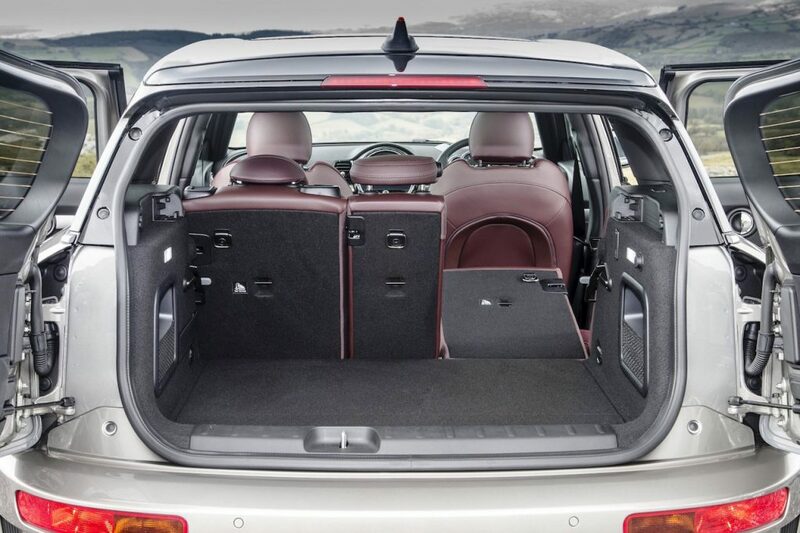 This is a strategic move up from the supermini sector where the previous oddball Clubman model had two front doors, a half-sized off-side rear side door and twin rear end barn-style doors to the estate area. The latest generation is more conventional with four passenger doors but still retains its signature twin load area side hinged door design. 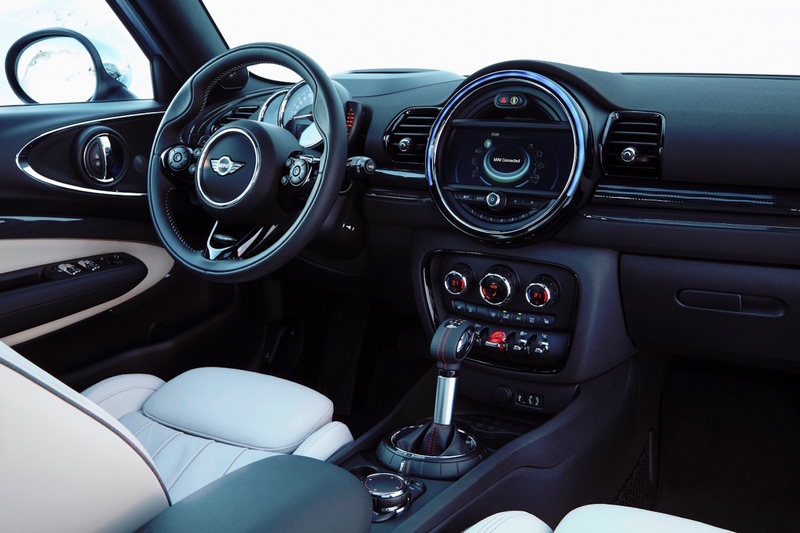 MINI in the UK has high sales hopes for the larger and more practical Clubman from the fleet and business-user chooser market sectors, where it will compete with premium brand models such as the Audi A1 Sportback, BMW 1 Series or perhaps a VW Golf. 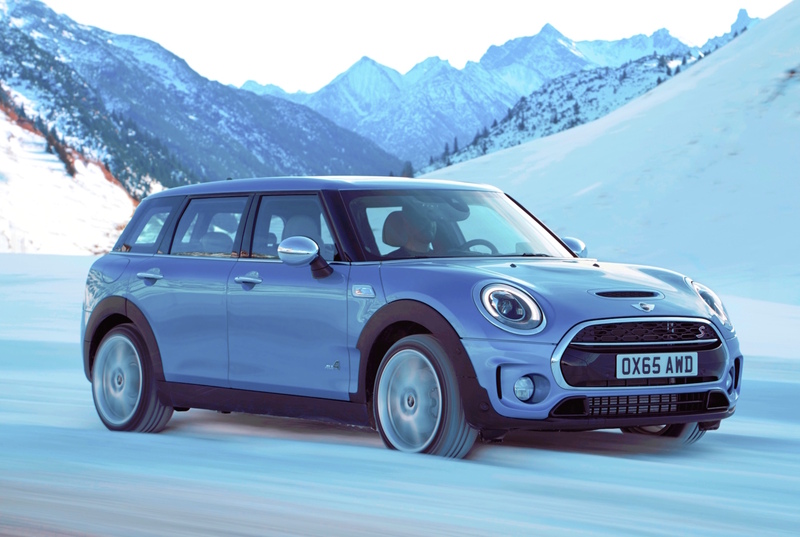 The new ALL4 Clubman models, with their intelligent all wheel drive system, are priced from £24,305 to £27,410 and that is around £1,300 more than their front wheel drive counterparts. The ALL4 configuration is available in Cooper S and Cooper SD specification. The Cooper S uses the 2.0 litre turbo 192 hp petrol unit with manual or auto transmission options. The Cooper SD uses a 2.0 litre 190 hp turbodiesel unit and an automatic transmission. 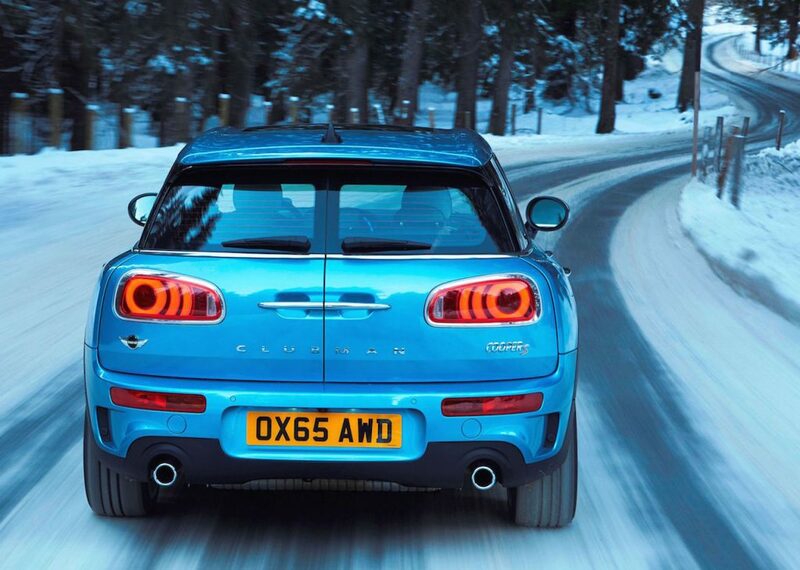 ALL4 versions are expected to account for upwards of 10% of all Clubman UK sales. The ALL4 system allows the front wheels to be used most of the time. 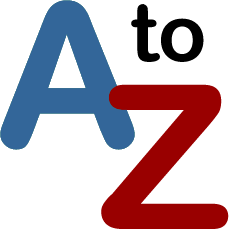 Once loss of traction is felt the rear wheels are re-coupled via a second clutch in the front differential to the propeller shaft and then to the rear axle differential. The system also includes torque vectoring which can brake or send power to individual wheels and it has an electronic differential lock to boost traction out of bends. Apart from the extra £1,300 in cost over a comparable spec front wheel drive Cooper/Cooper S models the added weight is 60 kg. This slightly reduces fuel economy and raises CO2 emissions. The Cooper S ALL4 2.0 litre, 192 hp turbo petrol model will officially return 40.9 mpg manual and 44.8 mpg auto in the Combined Cycle with CO2 at 159 or 146 g/km respectively. Top speed is 142 mph and zero to 62 mph takes 7.0-seconds. The Cooper SD ALL4 2.0 litre 190 hp turbodiesel, with its standard auto gearbox, officially returns 58.9 mpg, CO2 126 g/km, with a top speed of 138 mph and with zero to 62 mph taking 7.2 seconds. Although the SD diesel/auto version is £1,425 more expensive than the 2.0 petrol/auto, the diesel’s running and tax costs are lower so that should be the best seller, business user wise anyway. My test drive fuel consumption with the Cooper SD auto version was 47 mpg covering busy Oxford roads, plus some country driving outside the city area. The eight-speed Steptronic auto gearbox was a joy to use with this 192 hp engine which develops a hefty 400 Nm (295 lb.ft) of torque from just 1,750 rpm. It is a very refined combination. With our worsening unpredictable weather conditions, badly maintained roads and the requirement for companies to provide more on-road driving security for employees under their Duty of Care requirements, there is a 20% growth in sales for such all wheel drive versions of standard cars, say manufacturers. In the case of the Mini Clubman the ALL4 system does reduces its nimbleness due to the extra weight, but it is still agile enough and the all wheel drive function does add surefootedness. It also adds stronger traction during hard acceleration in low gears, the handling is more assured – especially during higher cornering speeds – and understeer is kept to a minimum. In all other respects the new Clubman ALL4 is much the same as the standard two wheel drive versions; good to look at, roomier with a more practical design than the previous range and of course it retains that premium quality interior. For: Built in Britain, strengthens the appeal of the Clubman in the C-segment range of family/business cars, and improves secure handling performance with stability and grip, strong and refined engine, high quality interior. Against: Premium price might be a step too far for some potential customers, reduced nimbleness due to the extra weight of the ALL4 system, higher running costs than front wheel drive versions. MINI Cooper SD Clubman ALL4 automatic estate. Engine: 2.0 litre, 4 cylinder turbodiesel. Transmission: 8-speed sports auto gearbox, 4 wheel drive. Torque: 400 Nm (295 lb.ft) from 1,750 rpm. Fuel consumption: Combined Cycle 58. 9mpg, ( 47 mpg on test). Emissions and taxation: CO2 126 g/km, VED road tax £0 First Year rate then £110 thereafter, BIK company car tax 25%. Dimensions/capacities: L 4,253 mm (13.95 ft), W 1,800 mm (5.91 ft), H 1,441 mm (4.73 ft), 6 doors, 4/5 seats, boot/load space 360 to 1,250 litres (12.71 to 44.14 cu.ft). 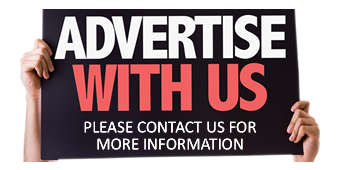 Price: £27,410 but with options as tested £35,875.